This listing is for a sample size (1 dram). I love how this serum absorbs into my skin. I've used other serums and oils, but this is by far my favorite. This serum keeps my skin soft and moisturized especially during these cold, winter months when my skin gets really dry. I haven't noticed any significant improvement in the pigmentation of my skin, but I haven't been using this product for that long. I really like the smell, but it may not be for everyone. A gorgeous blend of oils that is great on my dry, sensitive, acne prone skin. I apply this after the toner and it does a great job adding moisture to my face. I like to switch between this and the rose oil. 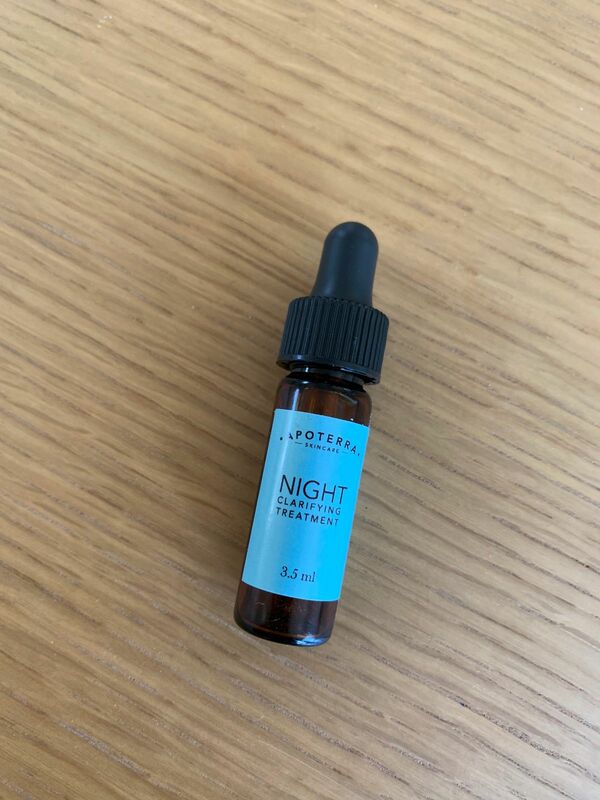 I bought this as a sample because I was wary of using an oil as a nighttime moisturizer considering I have very oily skin to begin with, but it was great! Within the first week of using it I noticed a great difference in the amount of oil I was producing overnight. It also definitely helped to clear my skin. I loved it. Will be buying in full size! I stumbled across apoterra on Instagram and I am so glad I did! The nighttime clarifying treatment is exactly what I was missing in my life. I love it so much I’m using it during the day in my morning skincare routine as well. It has helped so much to heal my skin from a terrible hormonal breakout postpartum. While I still have a way to go, it really helps calm and heal my existing breakouts and I have definitely noticed less breakouts overall. I love it so much I just purchased the full size product and have my eye on quite a few more!